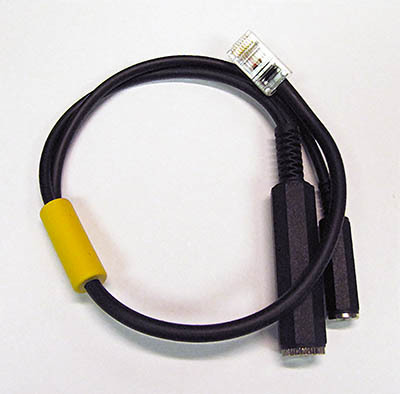 INRAD series M-YM adapter for RJ-45 modular jack Yaesu / FlexRadio transceivers. For use with the INRAD W1 headset or with the cable supplied with INRAD M-series microphones when the microphone is not in use with the INRAD DMS-1 PTT base. 8 pin mic connector, 1/4" mono jack for PTT hand or footswitch insertion, 1/8" mono jack for connection of W1 transmit audio or M-series microphone cable. Microphone cable that connects between microphone and adapter is included with INRAD M-series microphones.